For most people, eating fresh papayas in the morning is a ritual. That’s why so many local folks know the delivery schedule to many of my dad’s long time stores like Times Supermarkets, Tamashiro Fish Market, and Farm Fresh. Many folks don’t realize that papayas are also great for baking when really ripe. It adds a lot of moistness and sweetness to baked goods. 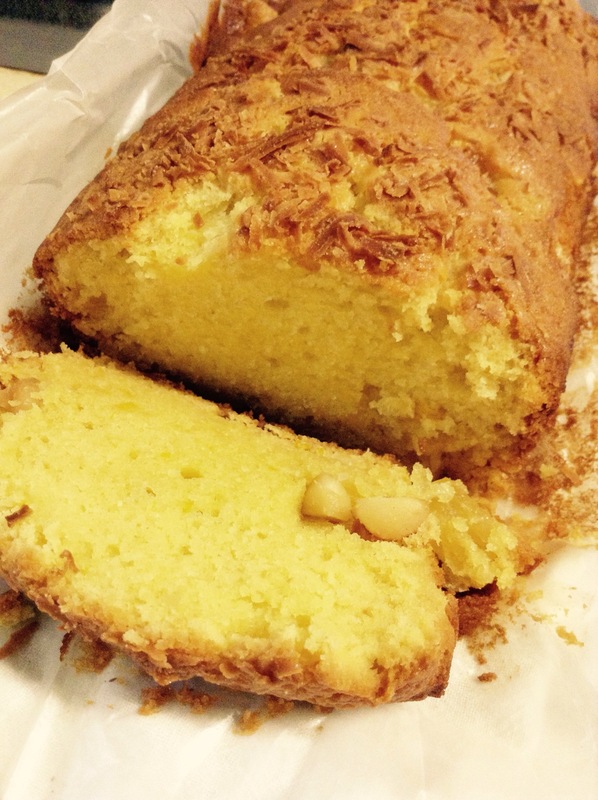 I took this recipe for pineapple macadamia nut pound cake and jazzed it up a bit. 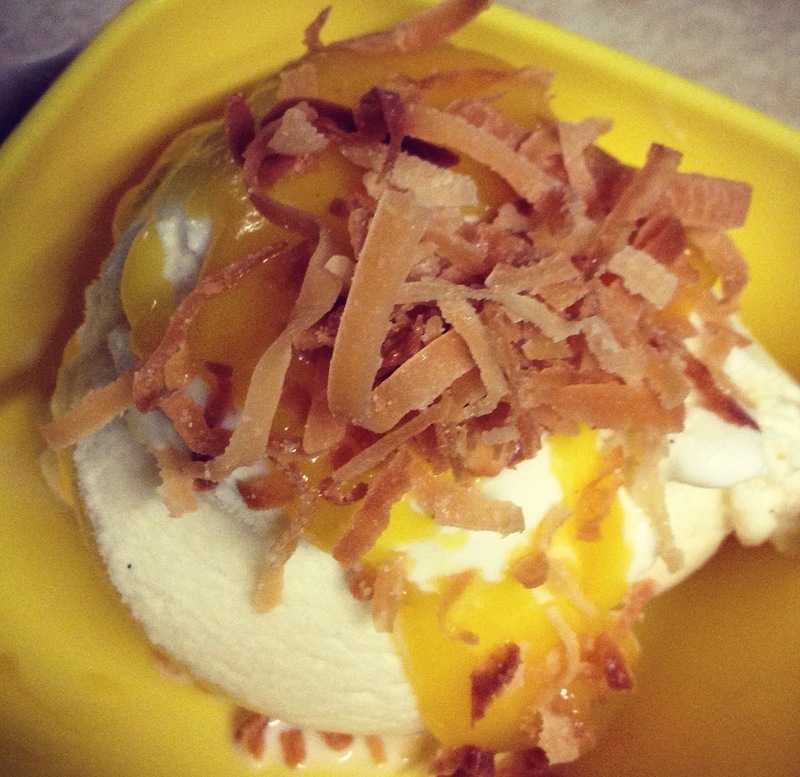 I added 1/2 a ripe papaya pulp into the butter mixture and topped it with toasted coconut before baking. The results were scrumptious! Lucky thing that biotech helped to keep farmers growing those fresh papayas week after week and year after year. There is no fruit like it! Later on, I’ll whip up some coconut sorbet and see how this combination turns out for a dessert. Ono!!! So many commenters come across my blog attempting to post a comment here. Honestly, many of them are not worth posting. I get long rants full of bogus links and all kinds of off the wall screeds. It’s the same old commentaries over and over and it gets old. Nor do these contribute to any discussion. 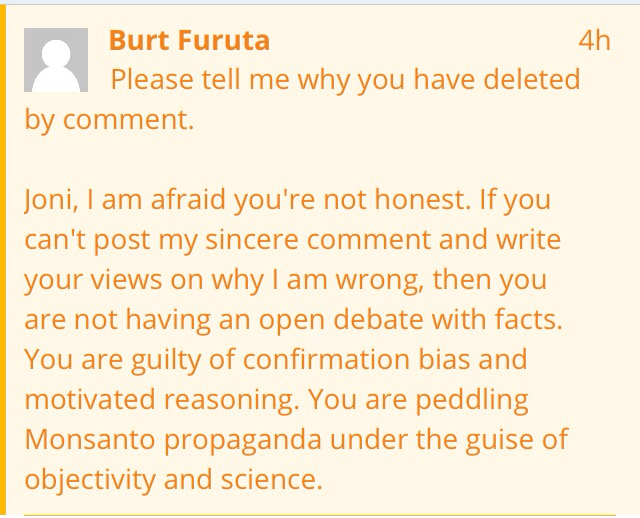 Today I have Burt Furuta wanting to comment. Sorry, Burt, it isn’t worth my time or yours. When you think that Monsanto equates to biotech and you send me links from GMO Report and Ennser, there is clearly no discussion. (That cooment is so long, I can’t even fit it here and it only perpetuates more misinformation.). You obviously have not done your research on cross checking your information and then your accusation of calling me a Monsanto shill seals the deal sir. You obviously aren’t willing to even read the content you’re trying to post to either. Some people think they got it, but sadly show they still haven’t figured it out. So sorry, mention Monsanto and your comment goes into the trash bin.